Semi-evergreen - Keeps some of its foliage all year, and will drop some leaves as well. 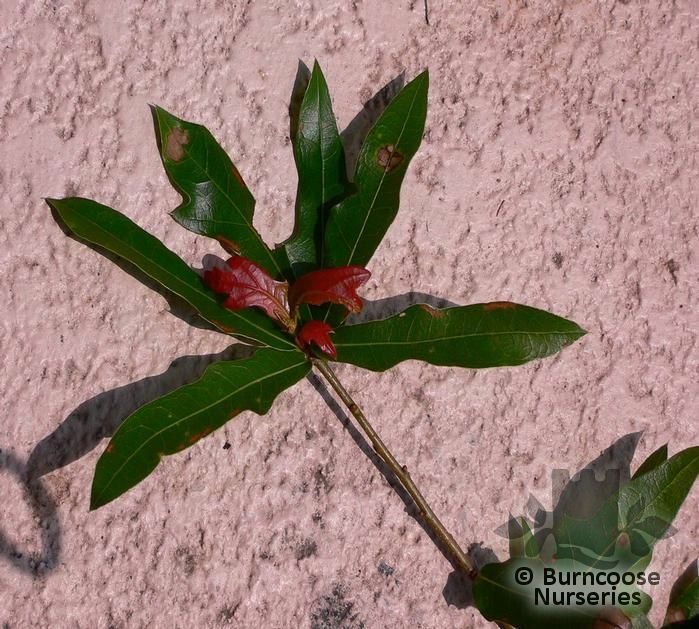 - stiff, leathery leaves 2-15cm (¾-6in) long, glossy, dark-green above, pale grey bemeath. 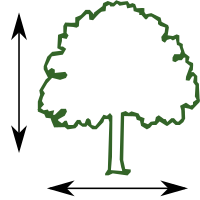 Tree - shrubby to large, spreading tree. Lower limbs often grow towards the ground before curving up again. Small, tapered acorns, black or tan coloured. Additional Features	- Pests & Diseases - aphids, gall wasps, oak wilt, honey fungus, powdery mildew, bracket fungi. Place of origin - southeastern USA, Mexico, Cuba.